N-Photo 86 on sale now! You’ve got your big flashy Nikon and invested in a decent lens or two, then one day someone pops the question: ‘would you mind photographing our wedding?’ But the flattery of being entrusted with recording such a momentous occasion soon turns to fear – this is one shoot you can’t mess up. 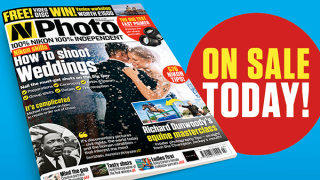 Well worry not – for this issue’s lead feature we’ve enlisted the advice of professional wedding photographer Gary Nunn to ensure you nail the must-get shots of the Big Day. Our Apprentice gets insider tips from horse racing legend turned pro equine photographer Richard Dunwoody. Acclaimed photographer of the US civil rights movement – as well as some of the biggest movies and personalities of the ’60s and ’70s – Steve Schapiro is in the interview hot seat.